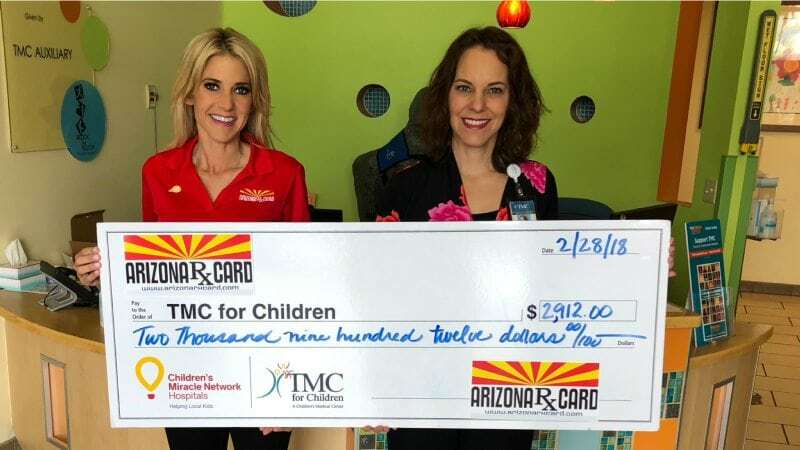 Arizona Rx Card had the pleasure of presenting a check to Tucson Medical Center for $2,912.00 on Feb. 28, 2018. A donation is made to Tucson Medical Center each time a prescription is processed through Arizona Rx Card. There is nothing more rewarding than helping children and families through a time when they need it the most. Since 2015, the United Networks of America partnership with Children’s Miracle Network Hospitals has raised over $2.4 million dollars for local children’s hospitals. Of this, $2,912.00 has been raised for Tucson Medical Center.